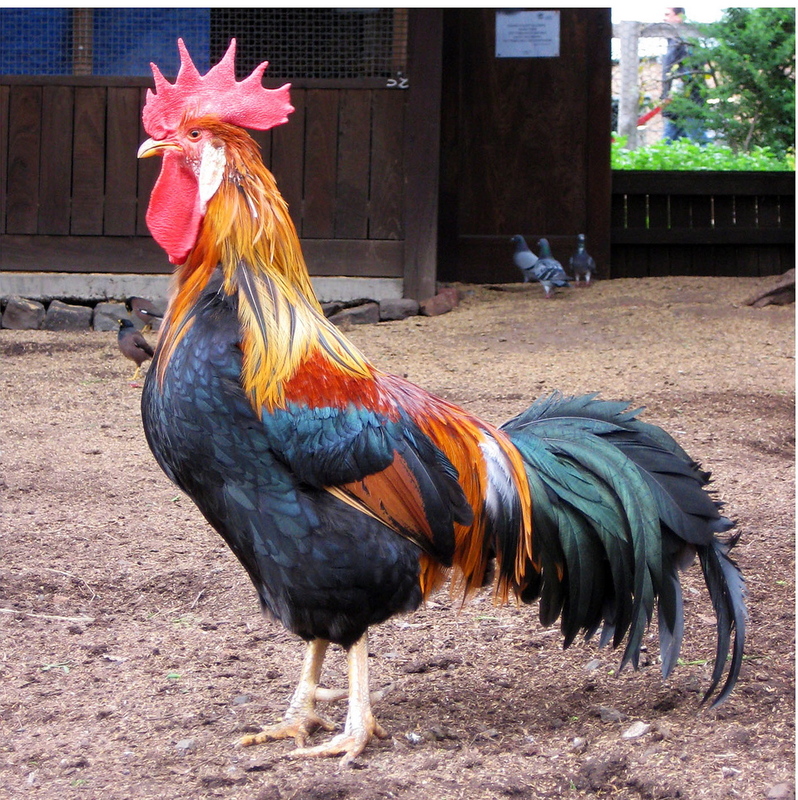 Roosters come in a multitude of breeds including the Golden Laced Wyandotte which is the rooster pictured on a certain breakfast cereal box. 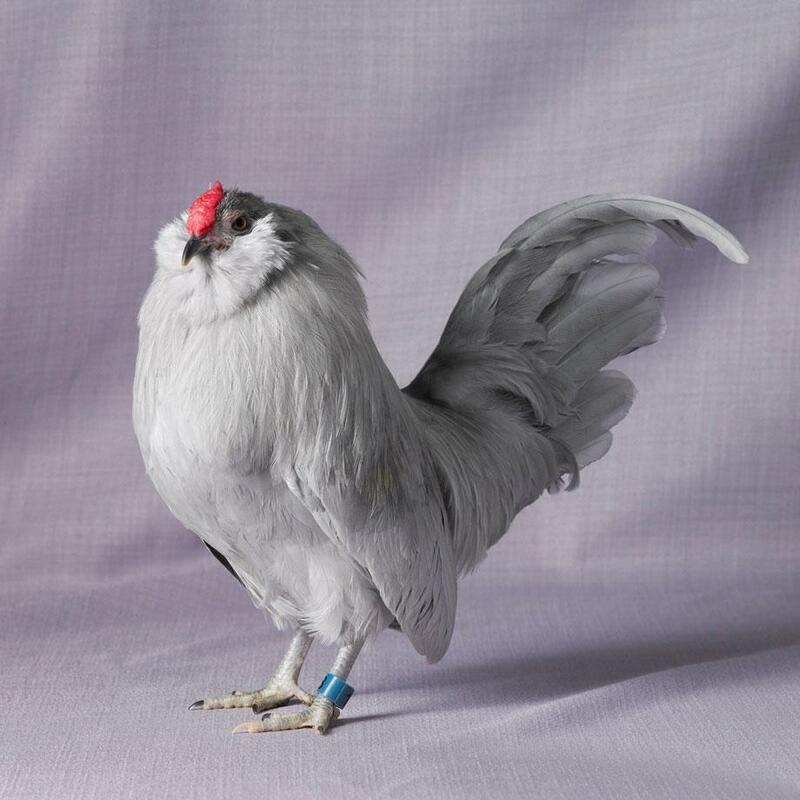 Growing up to 8 1/2 pounds the rooster is one of the most handsome of all breeds. 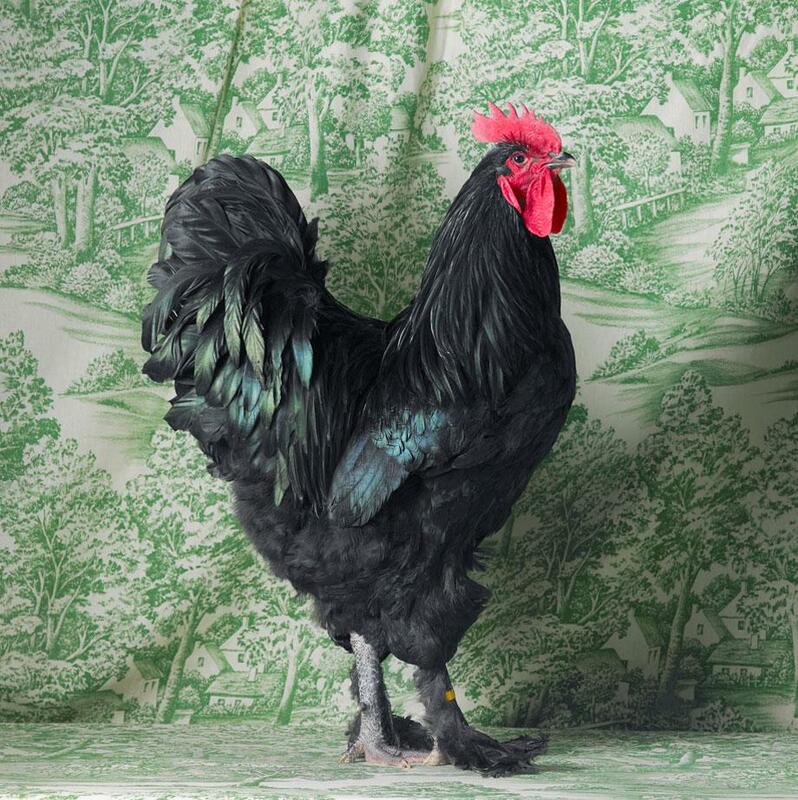 The Black Jersey Giant is a prized show-bird weighing in at 11 pounds; standing out from the crowd, his black feathers have a green sheen and he has greenish-blue legs. Both these large breeds have good lungs for crowing at length and are extremely protective of their harem of hens. Acting as “look-outs” you will find these breeds frequently up trees scanning the horizon for danger. A capon is a rooster that has been castrated. The rooster’s reproductive organs are mainly internal although a short organ is produced from his body for mating purposes only. Once these organs are removed through surgical procedure, the capon will develop a buff, meatier appearance; the meat will not be stringy and tough like a regular slender rooster, but melt-in-the-mouth tender dark and white meat. The capon loses his aggressions and territorial instincts that he once possessed and acts more like a hen; he also loses his need to crow. The capon’s dark and white meat is considered a delicacy to connoisseurs of fine meats. A rooster crows because he has an internal clock that helps him anticipate sunrise. Like all birds, roosters sing – or crow – in a daily cycle. Almost all animals have daily cycles of activity known as circadian rhythms that roughly follow the cycle of day and night. Roosters anticipate sunrise to get a head start on their daily hunt for food and defense of territory. But if one rooster in the neighbor has an internal clock that’s set a little early, he can stimulate other roosters to crow early, too. The rooster’s sunrise song is actually a way of establishing his territory. When a rooster crows, he’s sending a signal to other roosters that if they trespass, they’re asking for a fight. A rooster will often crow from a vantage point above his territory so he can make others more aware of his presence and so that his songs travel farther. Even though roosters are the most famous crooners of the chicken world, hens aren’t exactly silent, either. When a hen spots a hawk, she’ll let out a harsh scream to send her chicks into hiding. But if she sees a less-threatening human, she might just cackle. Bantam roosters as well as standard roosters crow as loud as the other despite their small size. Rooster’s start crowing at around five months of age and crow regularly until they die of natural causes or get put in the crock pot, which is the only way to cook them tender enough to eat. This entry was posted in Chickens, Free range, Health, Q&A and tagged Bantam, Capon, chicken, Clock, Crow, Meat, Nagoya University, Rooster on April 30, 2013 by naturalpfg. I love these photos of chickens by Tamara Staples. They are from her new book The Magnificent Chicken: Portraits of the Fairest Fowl. Tamara Staples vividly remembers her first time at a poultry show. Staples’ love for the birds began during visits with her favorite relative, Uncle Ron, who lived in Athens, Ga., and was a chicken breeder. “I would go visit him and hang out behind his henhouse, and I started asking about chickens, and he invited me to that first poultry show 20 years ago,” said Staples. With some guidance from her uncle, Staples began photographing the birds around the Midwest in Illinois, Wisconsin, Ohio, and Indiana over four years to get enough material for her first book, The Fairest Fowl: Portraits of Championship Chickens, published by Chronicle Books in 2001. The hardest part for Staples was getting accustomed to shooting on location. Once she mastered that, she began to think more about styling for the portraits. Staples began looking for fabrics in thrift stores and started collecting samples from friends and friends of friends in the design world to enhance the portraits. “For the second book I knew I wanted to try something more exciting and fashionable,” Staples said. Staples’ second book, The Magnificent Chicken: Portraits of the Fairest Fowl, will be available Feb. 19 from Chronicle Books. Staples shot mostly around Massachusetts, New Jersey, and upstate New York with a Hasselblad camera, and typically spends between 10 minutes and half an hour with each bird during their portrait session. Of course, it all depends on the mood of her models. Ideally, Staples will get a bird in a mood that falls somewhere between fatigue and the desire to flee for the session. For now, two books is enough for Staples, who is moving on to some new projects, but don’t expect her to stay away from the chickens for too long. “I will always have a very special place in my heart for the chickens, and I hope there is another project that leads me to them—I really enjoy working with the birds, and I enjoy the people in the shows,” said Staples. 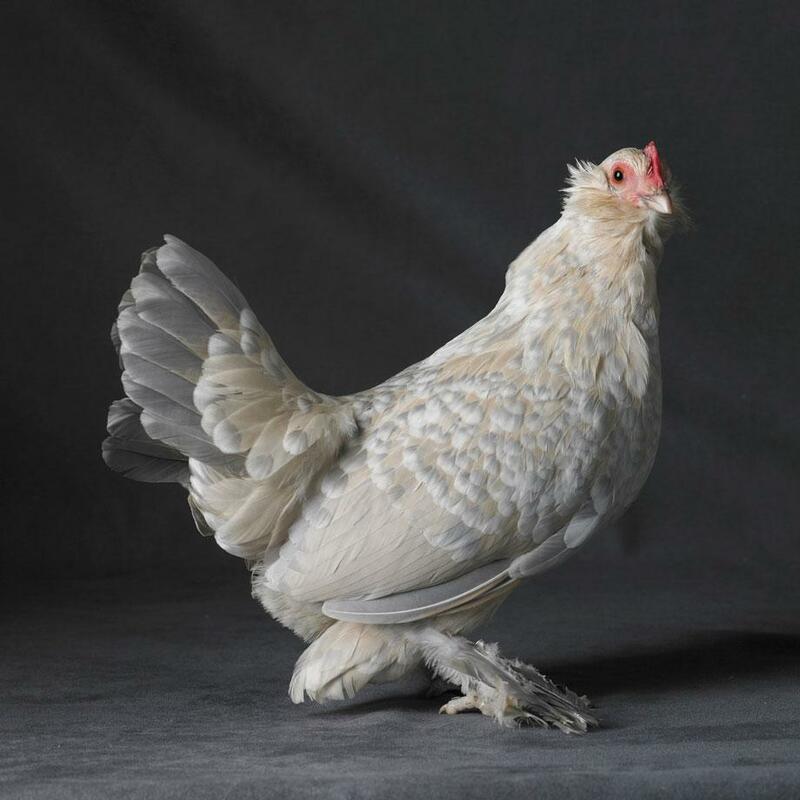 This entry was posted in Chickens, Humour, News and tagged Bantam, chicken, Chronicle Books, Guineafowl, Leghorn, Massachusetts, New Jersey, poultry on April 30, 2013 by naturalpfg. Many people keep a variety of domestic pets and animals. However, of all these domestic pets, chickens are the most unique because they are a constant source of edible food unlike the other pets such as dogs and cats. They are a rich source of organic fresh meat and eggs, produced directly from your backyard instead of purchasing them from the supermarket. All you have to do is to feed your chickens with organic chicken feed and also allow them to roam freely in a chicken run. Chickens raised this way are proven to have eggs with higher levels of Omega-3 fatty acids and Vitamin E while having lower cholesterol content. Chickens are also easier to maintain than other domesticated pets. You just have to ensure that they have adequate food and water, clean the coop every other day and change the straw bedding every 3 or 4 weeks depending on weather conditions. A third benefit of raising chickens in your backyard, is that they help take care of the environment. When you allow them to roam freely, they eat garden pests and help you trim your grass as they love eating grass. Eventually, they turn all they have eaten into a form of organic fertilizer that is naturally nitrogen-rich and can be used as manure for your flowers. What Should You Consider Before You Start Keeping Chickens? The Time You Have at Your Disposal: Although chickens are relatively low-maintenance, they do require at least 15 to 20 minutes daily for daily care and maintenance in the form of replenishing their food and water and ensuring the bedding areas are dry. They are also great fun to watch, as all chickens have their own characters and traits, and nothings better than a cold lemonade on a hot day while watching you hens chasing a big fat bug. The Space Available: The chicken Coop should be at least six square feet per bird is allotted in the outside run to allow them to run freely. Chickens are natural foragers and they eat insects, grass and weeds that they can find in the run – the more they are able to forage, the healthier and more contented they will be. This is to your advantage since you will reap the benefits in tastier eggs and poultry meat. The Cost: Consider the initial investment in constructing the chicken coop, feed supplies, the cost of the birds, and maintenance. It may be more than you thought! But believe me, when they start laying fresh eggs, you’ll be hooked! Number of Chickens: This should be determined by the space available for them and the time you can invest in them. Size of the Chicken: Another important factor for consideration is the size of chicken. There are Standard (normal-size), or Bantam chickens, that are a fraction of the size of Standards and are mainly raised for ornamental purposes. Although bantams lay edible eggs also, they do so on a less frequent schedule and their eggs are smaller in size. 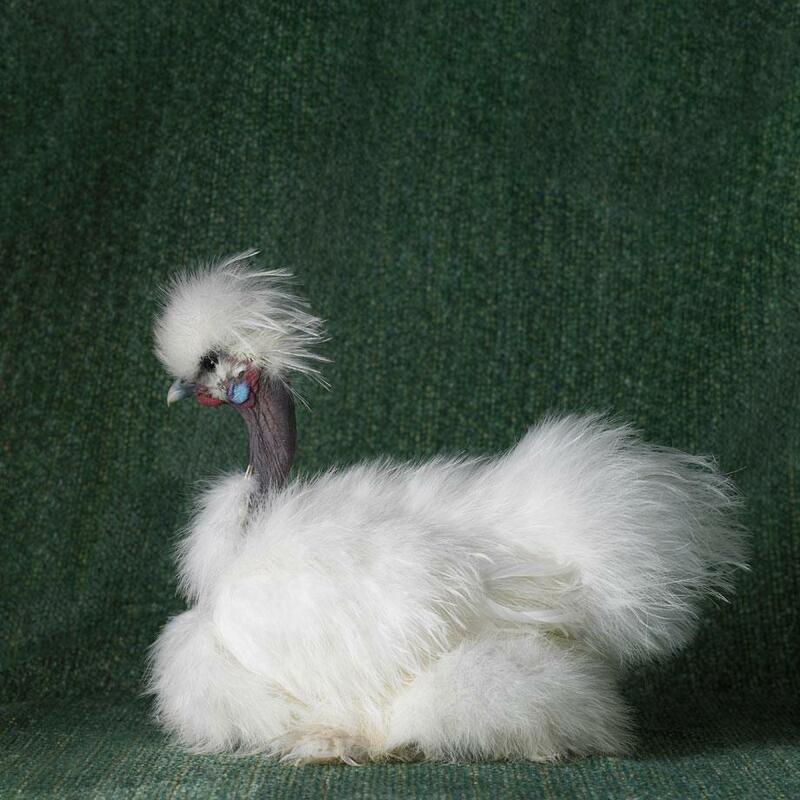 There is no problem in having both sizes in your flock as Silkies, Belgian Bearded D’Uccles and Sebrights are available only as Bantams whereas there are other breeds which are available in both sizes. Of course you can combine both sizes in your flock if you want both types. This entry was posted in Chickens, Feeding, Free range, Health, Housing, Q&A and tagged backyard chickens, Bantam, Bird, chicken, Chicken Care Tips, Chicken coop, Chicken Health, chicken keeping, Meat, poultry, Silkie on February 1, 2013 by naturalpfg.